I apologize for the click-bait title. Please indulge me for a moment before I get on topic. I'm in the midst of retrofitting LED projectors into my 2006 Insight. While doing so, I have been inspired to write about my observations with respect to lighting that uses the standard reflector housing. 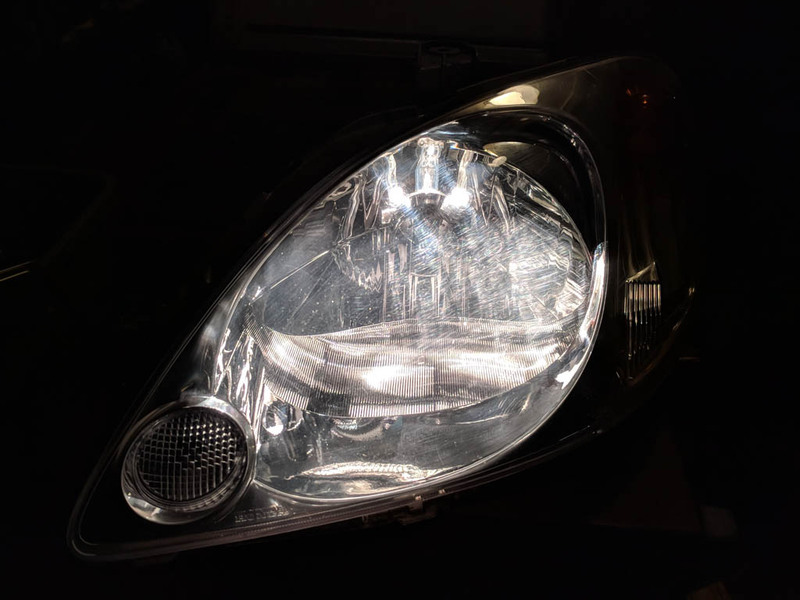 Forget HID and LED retrofit bulbs, the most important thing you can do to improve your headlights is to ensure your lenses are clear. Not only will doing so improve visibility for you, it will also reduce glare for oncoming drivers. Note: this also assumes your headlights are aimed correctly. After sitting for over two years since the last polish, here is a halogen low beam from my 2006 Insight. With less light being scattered by the clearer lens, light output is dramatically improved. And, with the light from the halogen bulb now properly focused under the cutoff, the road will be better illuminated allowing you to see further. As an added bonus, notice how much less light there is above the cutoff? This is good for everyone you share the road with as there will be less glare from your headlights. A win-win. Speaking of glare, this is time to talk about alternative bulb technologies, namely HID and LED retrofit bulbs. 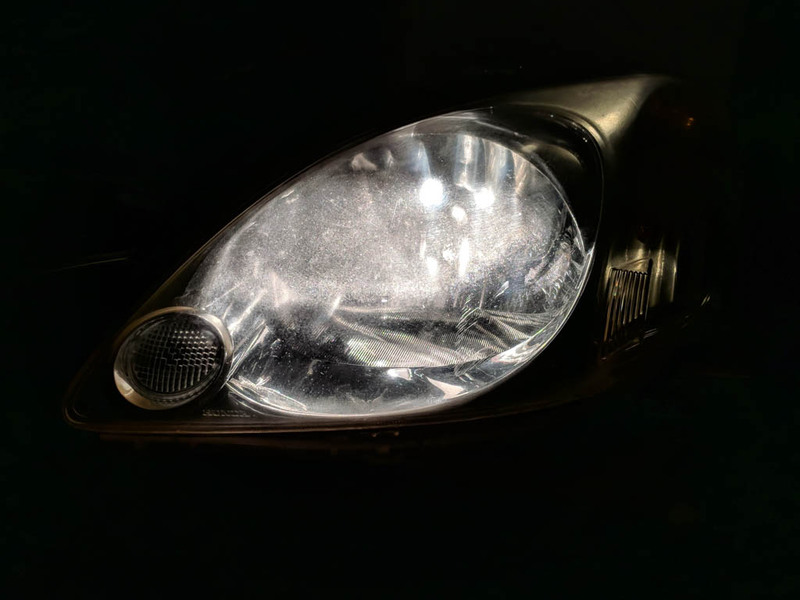 HID: I've seen a few Insights with HID retrofit bulbs installed, and they have been pretty bad with poorly defined to non-existent low beam cutoff. 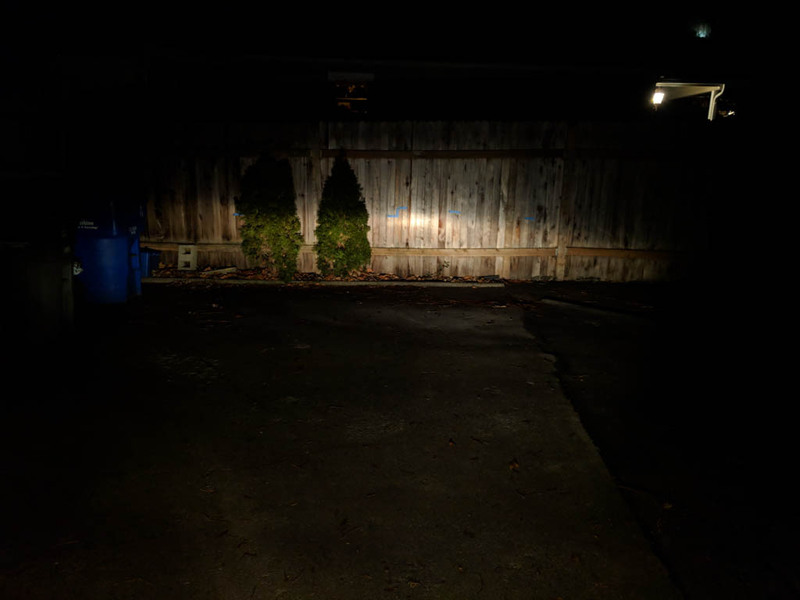 LED: I have personally tried a set of $200 Phillips branded, H4/9003 LED retrofit bulbs and while not as bad as the HID retrofits I've seen, errant light scatter, i.e. glare for oncoming drivers, was still worsened. Here is a before and after pictures of the lens. Clearer, but still room for improvement. Hopefully it's clear how much better the light output is, even from a not-perfect polishing. Last edited by Bull Dog; 01-30-2019 at 02:49 PM. I tried this fellow's technique. It worked fine for me and that was more than six months ago that I did it. Caution: when he says put 303 UV protection on it he's right. I have LED lights that were retrofitted to my 2001 MT. They've been in for about six months and still working very well. I get no indication from what I see or from oncoming drivers that they are glaring. Thank you very much. I bought the Alla Lighting S-HCR from Amazon. One of my lenses is almost crystal clear, and the other has some slight wash to it. My output is probably closely between the two pictures you showed, leaning more toward the upper one. Didn't think they needed cleaning yet but looks like I should. Did you install LED projectors, or are you using the stock halogen housings? Last edited by mpg_numbers_guy; 01-28-2019 at 11:18 AM. Winner, winner, chicken dinner! Yup those are the LED's that I bought. Sam Sharp (Rainsux) has them, too, and has the same results IIRC. You'd be advised to verify this with him. The LED's were a simple snap in installation. And, FWIW, they are advertised to work underwater. I'll be testing them again tonight as part of my contin uing service to IC. But not testing them underwater. Did you happen to post pictures on a thread somewhere showing the glare or cutoff? Any dark spots? I'm pretty happy with my HIDs. Way, way more lumens than stock 9003s. 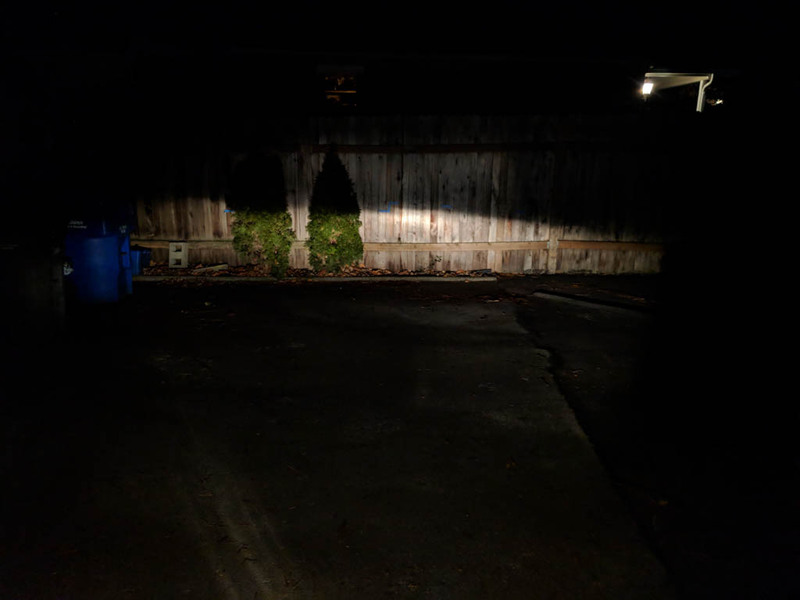 Most LED bulb marketing is just fake; they measure a hot spot from the bulb and say it's brighter than a halogen, but the truth is it just scatters mroe and lights up the ground a lot right in front of your car, giving you an illusion of better lighting. This contrast actually ruins your long distance night vision. I will safely stand by my comment that any retrofittable LED bulb is total ****. 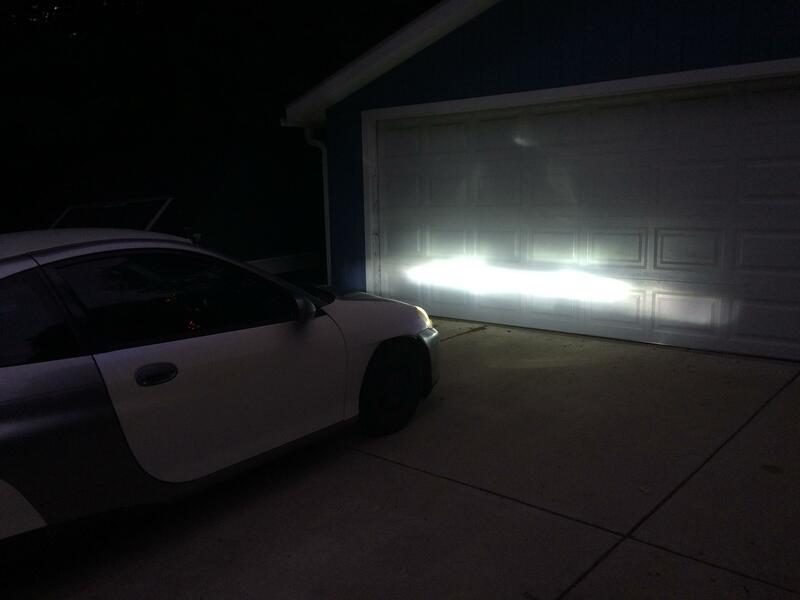 ADDvanced, your car is too close to the garage door to make any meaningful determination of light scatter. By any chance can you take a photo of the light pattern with the car 25 feet away from a vertical surface? It's not projector quality cutoff, but it's fine. Nobody has ever flashed me, our cars sit too low.